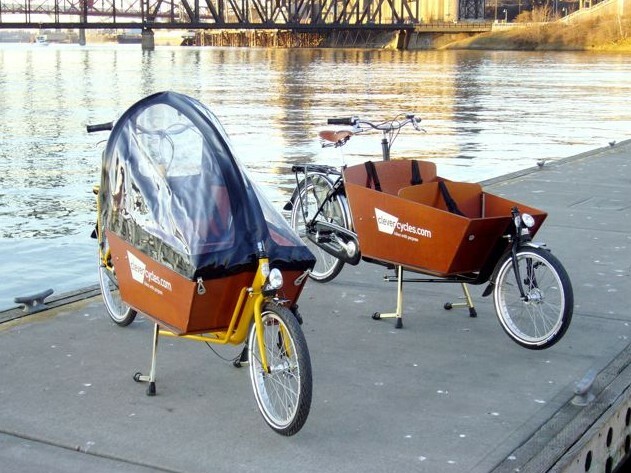 Looks like Todd at Cleverchimp has a new model of utility bike, and this looks cool! Looks like a great kid hauler, grocery hauler, stuff hauler. Might even be a two seater with a slight modification in the seat. Good luck, Todd! Here is an interesting and early (1890) front suspension bike, using a spring in the fork assembly to soften the rough roads of the day. A ten year old boy in Belfast Ireland rode his tricycle on cobblestone streets, but its solid rubber tires made the ride uncomfortable. His father, a Scottish veterinarian named John Dunlop thought of an idea for making the ride smoother. He took lengths of rubber garden hose and fitted it around the rim of the tricycle’s wheels, and glued the ends together to make a tube. Then he put an air valve in the garden hose, and pumped up the hose with a soccer ball air pump. The ride was greatly improved, but the tricycle was soon set aside for other toys. About a year later, it was noticed by a friend of Dunlop, a bicycle racer. 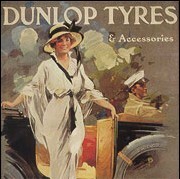 A newspaper article attracted interest, and Dunlop and investors went on to develop an air filled tire for use by the “killer ap” of the day, bicycles, in 1888, soon to be followed by use in automobiles. The pnuematic tire, combined with Starley’s basic bicycle design, made a modern one speed bicycle. The early bike tires were tubular, and glued or wrapped onto the rim, which was dished to accept the tubular tire. Clincher tires came later. The pneumatic tire had actually been invented earlier by engineer Robert W. Thompson, in 1845. 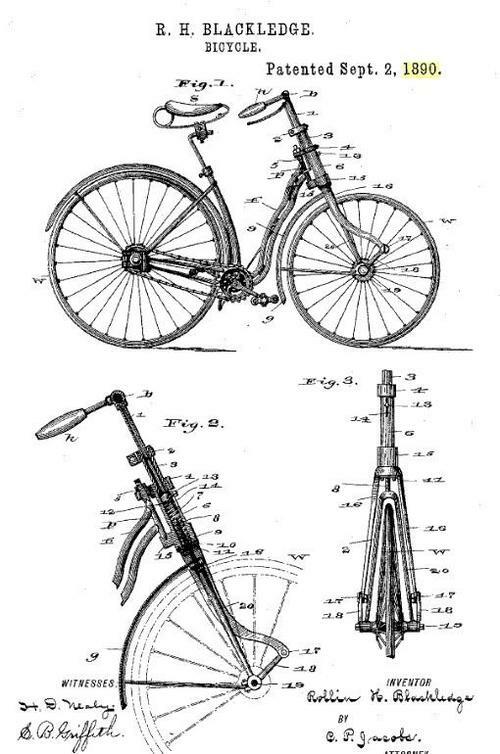 However, that was before the huge popularity of bicycles, so the invention went undeveloped.